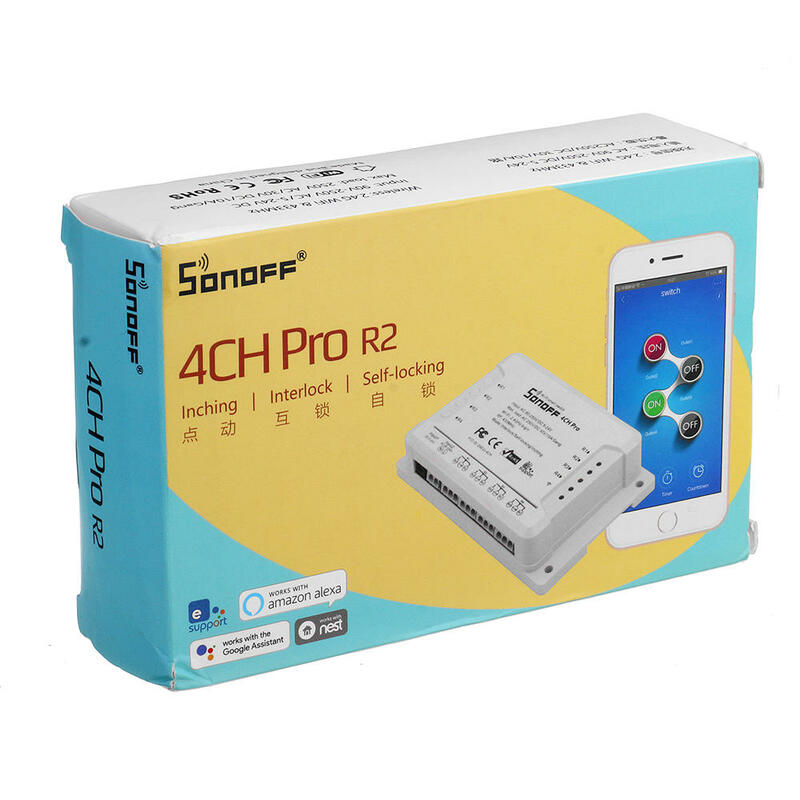 Sonoff 4CH Pro R2 is 4 gang WiFi switches. They support switching among 3 working modes: interlock/self-locking/inching mode. 4CH Pro R2 supports to set 1-16s. (4CH Pro just supports to set 0.25-4s). This feature allows you to let your switch turn on for a few seconds then goes off, which works like a pulse switch. They integrate with a 433MHz RF receiver module, making them possible to be controlled by RF Remote. The Sonoff 4CH Pro smart switch is DIN Rail mounted. You can ask Alexa to turn on/off Sonoff 4CH Pro (R2).